She published an article in a peer-reviewed journal arguing that taking away the right to conscientious objection is a great idea. (Link fixed). What academic credentials does she hold for her to be qualified to be publish in peer-reviewed journal? Sure, credentials aren't everything. But ever notice that nobody ever seems to mention Joyce Arthur's academic history? It could explain why she has such poor debate skills. Reproductive health care is the only field in medicine where health care professionals (HCPs) are allowed to limit a patient's access to a legal medical treatment - usually abortion or contraception - by citing their 'freedom of conscience. Well no. Euthanasia is another area. Cosmetic Surgery. Gender Re-Assignment. But whatever Joyce! However, the authors' position is that 'conscientious objection' ('CO') in reproductive health care should be called dishonourable disobedience because it violates medical ethics and the right to lawful health care, and should therefore be disallowed. Most notably, disallowing 'CO' protects women's basic human rights, avoiding both discrimination and harms to health. Except for pro-life women, whose rights it violates. Not to mention all the harm it causes unborn children. And all the harm it causes to women who suffer from abortion. But whatever Joyce! Almost all HCPs and medical students in Sweden, Finland, and Iceland who object to abortion or contraception are able to find work in another field of medicine. No Catholic need apply to the field of OBGYN or Maternal-Fetal Medicine. How dare you want to deliver babies without being willing to dismember them, you fiend! 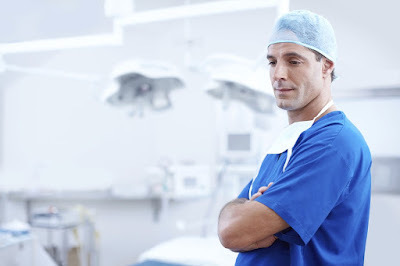 The main thing stopping doctors from eliminating conscientious objection is that in the future they may be forced to do things that they themselves don't want to do. When you start eliminating freedoms, you start down a slippery slope. This year it's force doctors to do abortions, ten years down the line it's refer 12-year-olds mentally ill kids for euthanasia.